Respond to what happened rather than anticipating what will happen. You are a trend follower, not a trend predictor. Trend followers do not guess if they must buy or sell. They know what to do because they have planned. Don’t try to guess how far a trend will go. You can’t. 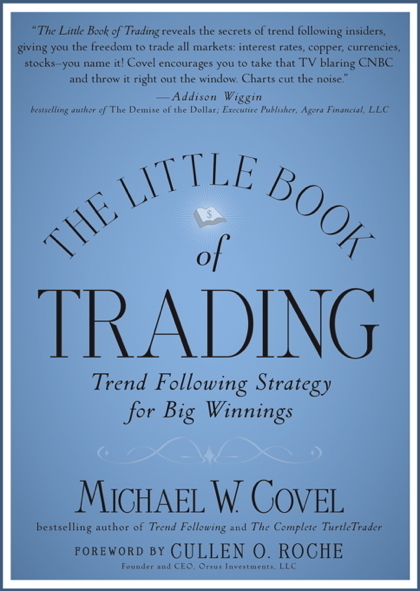 Trading systems ignore short-term volatility in the attempt to capture superior returns. Trends can last as long as a few months or years. The trend is up when price is moving up. You work hard to gain experience. Great experience leads to great intuition. The typical trend follower’s portfolio is well diversified. Trend Followers are not lucky ; they are consistenly prepared. 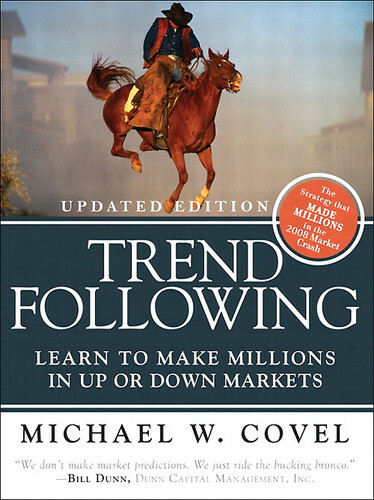 Trend followers take what the market offers in the moment. Thy don’t predict the future. To make money, you must be able to live with and accept volatility. The only way to know that a trend has started is when it starts to move either up or down. Once you take your signals and enter, trading becomes a waiting game. Wait to see what happens next. The more volatile the market, the less you want to risk. The less volatile the market, the more you want to risk. Commit to patience and faith in a system that is not structured on quarterly performance. Commit to thinking for the long term and not feeling insecure if you don’t have a steady earning stream. Big trends make big profits.